In November last year, Mliswa reportedly solicited for a $400 000 "facilitation fee" from Mr James Ross Goddard of JRG Contracting (Pvt) Ltd to help his company land a mining contract with ailing State concern, Hwange Colliery, but the businessman declined and instead alerted authorities. Following the publication of Mliswa's alleged shady demands by The Herald last week, parliamentarians in the Parliamentary Portfolio Committee on Mines and Energy took to a WhatsApp group whose participants are members of the committee, to confront him. Responding to one message from MP Tafanana Zhou (Mberengwa North), who had sought clarification on the legality of Mliswa conducting meetings outside the committee's official business, the Norton legislator said he had a right to meet whoever he wished to. He went on to tell his colleagues that there is life after parliament and that he needed to prepare for his family's welfare after his time in parliament and does this by charging "consultancy fees". Mliswa, who in the thread maintained that he was no pushover, said he does not deal with small amounts like $400 000 as alleged by Mr Goddard but rather "charges" up to $150 million and singled out the US$165 million he once demanded from businessman Mr Muller Conrad "Billy" Rautenbach. ". 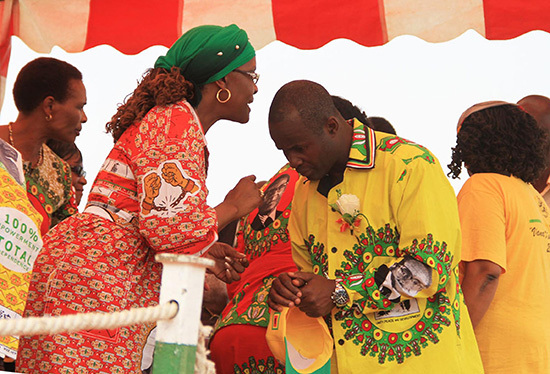 . . even if I wanted to do business with Tundiya or Godard, I am allowed," wrote Hon Mliswa in chats. "We have a life after Parly. My family must eat ka. What I don't do is bribes but consultancy I do big time and I charge mari chaiyo like ($) 150 million with Billy Rautenbach. . . those are my figures," charged Mliswa before warning MPs against deliberating on the issue. Chiredzi North Member of Parliament, Roy Bhila, then tried to restrain him, advising against him stifling freedom of expression in the portfolio committee to which Mliswa then said he was very powerful and will not be pushed out easily. "I chaired PCC (Zanu-PF Provincial Coordinating Committee, before he was fired in 2014) and I also had my dogs I would use to bark. . . I also chaired Dynamos Football Club with vana Hon Femai. . . with that background. . . am no push over and you will try just like The Herald is doing. . . hausundi. "I also belong to many cartels and (I) believe the other one I belong to is the most powerful," confessed Mliswa.